It’s the weekend, which means it’s time to get you all caught up on the latest and greatest (and also worst) video game news. This is Fails and Feels, the feature in which we round up all of the recent gaming goings-on! Strap in for a good chunk of good and bad! After selling The Witcher license for a reported $9,500, author Andrzej Sapkowski is now looking for more money from developer/publisher CD Projekt Red. 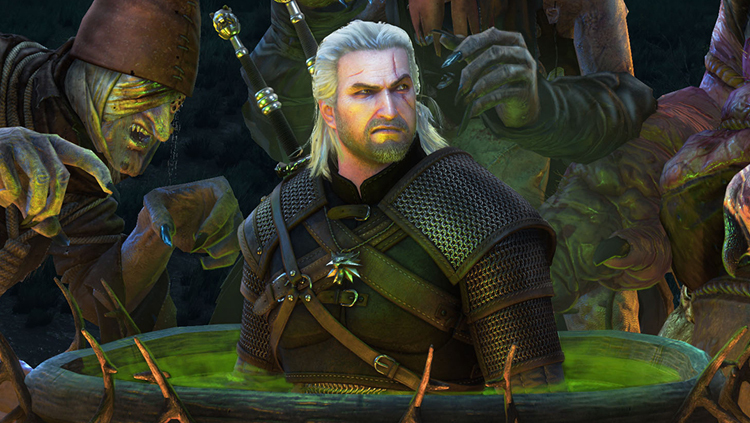 With the license having been used to create three well-received games, which have together sold over 33 million units, it’s pretty clear that Sapkowski got the sucky end of the deal. Now Sapkowski has issued a demand for payment, wanting a minimum of 60 million PLN (~$16 million). 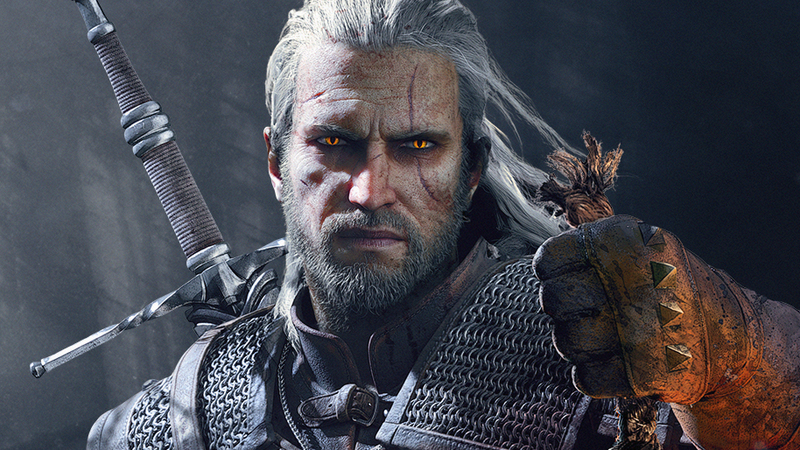 CD Projekt Red has stated that it would “go to great lengths” to settle the dispute amicably, as the studio wants to “maintain good relations” with the author. Pre-ordering games from Amazon continues to be a tricky process. Those who pre-ordered the Nintendo Switch game Daemon X Machina have seen their orders canceled. Amazon blames stock levels for the cancelations, though that seems odd, considering the game isn’t due to be released until 2019! Adding salt to the would is the fact that many canceled pre-orders were made using the now expired Prime 20 percent discount code. Crazy stuff from the big A! Early critical reviews for Venom haven’t been great, with some labeling it as a “complete failure.” What’s more, Tom Hardy’s acting in the movie has been criticized as being his “worst performance and “Catwoman level bad.” Not a fantastic look for Hardy! Of course, critical and fan reception can differ drastically, so we’ll have to wait and see how the movie does in theatres before we can name it a true failure or success! If you want to be the very best, like no one ever was, and if you think catching them is your real test, and to train them is your cause, you should still play by the rules! Unfortunately for popular Pokemon Go player Brandon Tan, he violated the game’s Terms of Service and has been banned for 30 days. Though developer Niantic hasn’t confirmed the exact reason for the ban, it’s thought to be linked to his attempts to make money through the game by providing high-level, special Pokemon. A new Red Dead Redemption 2 trailer is now available to watch. 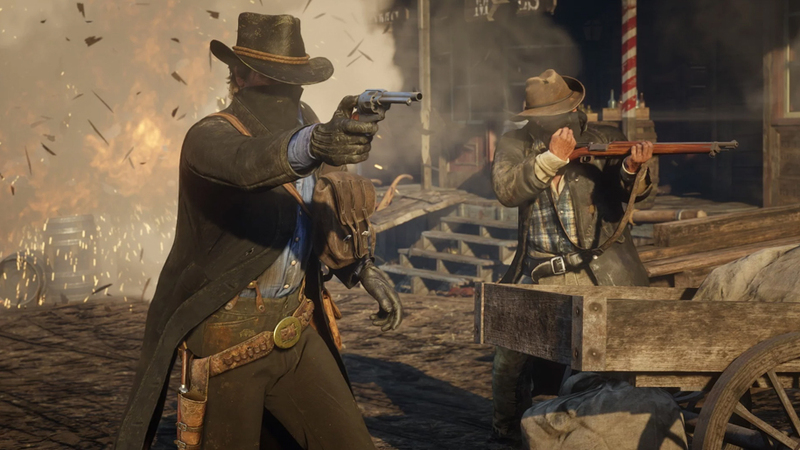 It is the second part to Rockstar Games’ guide to gameplay within the new universe, showcasing the various activities that players will soon be able to take part in. Small quests appear to pop up organically, while larger events, like bank heists and train robberies, can be planned and executed by the gang. If watching gameplay isn’t good enough for you, don’t worry, for the game is finally set to launch on Oct. 26! Upon its release, Pokemon Go acted as a force to get us out of our homes and to get gaming on the go. Physically walking to find new Pokemon and spin those PokeStops essentially tricked us into exercising while still enjoying video games. Well, it looks like Niantic is looking to push the exercise aspect a little further (if the information contained within the latest datamined files is accurate). Pokemon Go players will soon have three Weekly Fitness Goals, as well as a Fitness Report that shows progress. Hitting Fitness Goals will result in earned Fitness Rewards. Now that Assassin’s Creed Odyssey is out in the wild and available to players worldwide, it’s time to start hunting down those Ubisoft Easter eggs. One early player discovered a nod towards Splinter Cell, with Sam Fisher’s night-vision goggles appearing on a table. What’s curious is that the player character inspects them and says, “Looks Third Echelon. Or is it Fourth?” The significance here is that the Fourth Echelon comment could be hinting at a future Splinter Cell gaming that’s being planned or in the works!